My 1937 Bulova Art Deco watch is the most elegant thing I own. It has a narrow hexagonal dial, a stepped gold case and a matching band that extends the design around the wrist. It would have been pricey when new – over $500 in today’s money – but I got in on eBay for about the cost of a new quartz Timex. I’m definitely putting on the Ritz when I wear it, but I don’t strap it on every day, because I have about a dozen other watches, most of them old mechanicals. There are a lot of guys out there like me, some of them willing to spend as much on a watch full of moving parts as I ever would on a car. Like me, they probably started getting interested in watchesas items of adornment just as cell phones began making them obsolete. “I have between two and four digital devices on me that can tell me what time it is,” says Stephen J. Pulvirent, the 23-year-old associate editor at Hodinkee.com, an online magazine about high-end mechanical watches. Strictly speaking, a wristwatch is “superfluous,” he says, but that’s part of the reason it has become an expensive necessity for the 300,000-odd readers who check out Hodinkee each month. 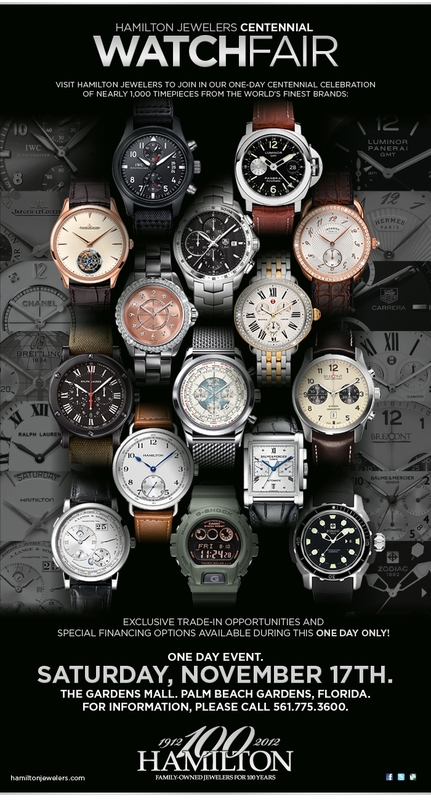 Enthusiasm for old-time watchworks has driven up the total value of Swiss mechanical exports by 362 per cent since 2000, while the dollar value of exported Swiss digital watches has stagnated. Luxury timepieces have been around since the first clocks were made, but this kind of fascination for outdated watch technology is something new. It’s part of our digital-age romance with many things from the mechanical era, but it’s also related to the drift toward everything casual in the way men dress. At a time when many a man finds a sports jacket too dressy or a tie too formal, watches, whether cheap or dear, are increasingly a focal point of style and display. “Men don’t get to wear a lot of jewellery,” Pulvirent said. “Cuff links, maybe, and perhaps one ring.” Rolex has made itself part of the business uniform, as a symbol of success that everyone understands. But that’s not what interests the average Hodinkee reader, who is 35 years old, has a household income of over $250,000, and is apparently eager to know the fine details of new issues from the coolest Swiss makers. The point is to express something about your knowledge and taste, Pulvirent says, not to show that you’ve made it. Resurgent mechanical watches have reshaped the industry in Switzerland, which is to watches what Scotland is to whisky. 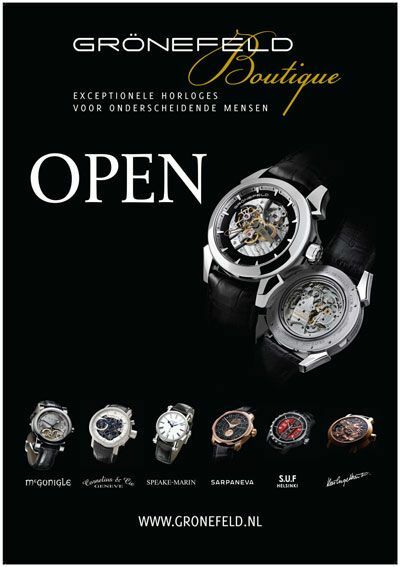 In 2013, mechanicals accounted for only 27 per cent of exported Swisswatches, but 78 per cent of dollar value, according to the Federation of the Swiss Watch Industry. The average price of a Swiss watch has doubled in the past 12 years, driven largely by high-end mechanicals. Neckties used to be a relatively cheap way to flaunt your style, in a flash of colourful silk that offset the conformity of a sober wool suit. The watches covered by Hodinkee do the same for the casual generation, for a lot more money. Most are updates of classic watches, such as the new Tudor Heritage Ranger, a $3,000 remake of a manually-wound, military-style watch from the 1960s; or the Omega De Ville Tresor, a subtle throwback to mid-century dress style, at $14,300. The De Ville Tresor runs on a self-winding rotor, as many watches did 50 years ago, but unlike pieces from that period, it and many other retro mechanicals expose their internal workings through a sapphire crystal back. “If you’re paying for a mechanical watch, you want to see that movement,” Pulvirent said. An exposed movement lets the wearer into one of the open secrets of Swiss watchmaking, he says, which is that makers traditionally fussed over the finish of their movements “not for the wearer to appreciate, but for other watchmakers.” It’s a gear-head’s dream, also expressed by the “skeleton” faces of watches that show the works from the front. “A man’s watch is a miniature expression of his gadget-loving personality,” says Mitch Greenblatt, co-founder of Watchismo.com, a watch store and blog that might be described as Hodinkee’s wilder, more penny-wise cousin. The status-flashing conservatism of a Rolex, Greenblatt says, “makes my skin crawl.” Watchismo caters to more adventurous tastes, with unusual digital watches whose time displays may be so novel that practice is needed to read them. The Devon Tread 2 is an outsized mechanical that tells time using two perpendicular “time belts” that run on sprockets like film. “When you wear that watch and go to a party, you become a rock star,” Greenblatt says. The striking digital designs at Watchismo are the descendants of the Swatch watches of the 1980s, which successfully put forth the idea that a boring interior – the minimal, interchangeable works of a digital watch – could have a fun and exciting wrapper. Ironically, many of the watches jockeying to prove their distinction in the luxury mechanicals market are using movements sourced from a single supplier: ETA, which is owned by Swatch Group. That situation has provoked a new fetish for movements built entirely in-house – something staid old Rolex has been doing for decades. One thing I’m not in tune with about many of the new watches is their size. Perhaps because so much stylistic weight is being displaced to the wrist, even retro designs today are noticeably bigger than the originals. Watchismo carries one oversized Sisu model that weighs a full pound – just the thing with which to thump your chest as you roar out your masculinity. My 1937 Bulova is tiny in comparison; when I first wore it, a woman I know even asked whether I was comfortable with something so borderline feminine. I told her that a lot of men who bought that model when it was new also signed up to fight Hitler. Both Pulvirent and Greenblatt predict smaller sizes ahead, though they also know that the Asian market may have other ideas – and the Asian market absorbs more than half of Swiss watch production. I’m happy in any case to stay just where I seem to be: near the forward edge of the retro watch frontier.